Latino day laborers are a socially and economically marginalized immigrant population with a high risk of occupational injury. These workers confront multiple social, psychological, and environmental hardships that increase their risk for adverse health outcomes. How these stressors interact and influence work-related injuries in this population remains unclear. We conducted an exploratory study with 327 Latino day laborers who completed a community survey. We developed a structural equation model, using cross-sectional data to explore the relationships among socioeconomic status, situational and immigration stress, depression, work risk exposure, and occupational injury. The model revealed a statistically significant mediated effect from situational stress to injury through work risk exposure as well as a significant mediated effect from immigration stress through depression to injury. 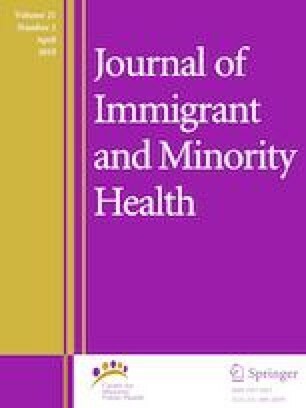 These initial findings suggest that situational and immigration-related stress have a detrimental impact on Latino day laborers’ mental health and workplace safety and, ultimately, increase their risk of occupational injury. The funding for this study was provided to the first author by St. Luke's Episcopal Health Charities. Bureau of Labor Statistics, U.S. Department of Labor. 2015 Census of fatal occupational injuries (final data). 2016. https://www.bls.gov/iif/oshcfoi1.htm. Accessed 5 Apr 2017. Bureau of Labor Statistics, U.S. Department of Labor. Hispanics and Latinos in industries and occupations. The Economics Daily. 2015. http://www.bls.gov/opub/ted/2015/hispanics-and-latinos-in-industries-and-occupations.htm. Accessed 10 Oct 2016. Bureau of Labor Statistics, U.S. Department of Labor. Current population survey, in census of fatal occupational injuries. 2016. http://www.bls.gov/iif/oshwc/cfoi/cfch0013.pdf. Accessed 10 Oct 2016. Valenzuela A. On the corner: day labor in the United States. UCLA Center for the Study of Urban Poverty. 2006. http://www.uic.edu/cuppa/uicued/Publications/RECENT/onthecorner.pdf. Accessed 10 Oct 2016.